Initially, a tiny bit difficult to get into because of the rapid introduction of numerous characters. However, once the story was set in motion, and the characters and their relationships fell into place, it was easy reading. As a matter of fact, it was a riveting page-turner. Far from character-heavy, there were a handful of central characters, all with very different personalities and all nicely and richly drawn. The writing takes the reader from past to present as the road to the climax is brilliantly planned. 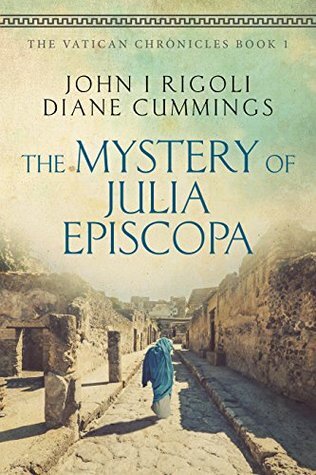 Interlaced with history, Biblical figures, and a notion that women meant much more to the early Christian church than any of the faith’s founding fathers care to admit, the premise is stunningly believable. Prepare to be a bit disillusioned as you read, but also invigorated at the drive of the characters, both ancient and contemporary. If you like this one, check out Donna Woolfolk Cross’s “Pope Joan”.